The Magnolia 7330 is the most advanced machine in the Magnolia Line. Perfect for creating any kind of home decor or sewing project, it enables you to add your flair to your home and wardrobe. You'll get 30 decorative stitches, and lots of great automatic features. 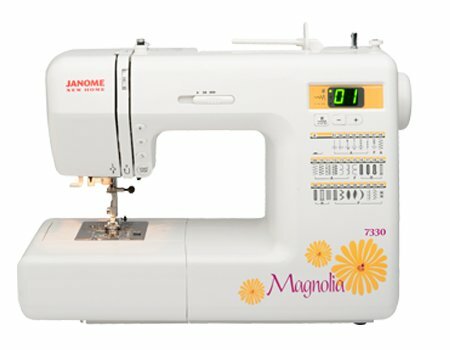 Incorporating the same Janome precision and technology that goes into all of our machines, the Magnolia 7330 helps you define yourself at a great price.